La or W-doped lead zirconate titanate thin films (PLZT or PZTW) were prepared on platinized silicon substrates by sol–gel process. 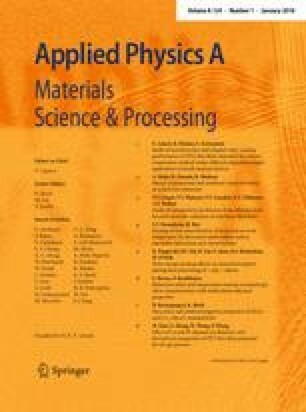 The effects of La or W dopant on the phase development, microstructure, dielectric and ferroelectric characteristics of films were studied. For PLZT films, the optimum doping concentration was found to be 2 mol%. While for PZTW films, the dielectric and ferroelectric properties were found to be improved as the doping concentration increased. The fatigue properties of PLZT and PZTW thin films were also investigated, the results showed that A- or B-site donor doping could improve the fatigue properties of PZT thin films. The theory of oxygen vacancy was used to explain the performance improvement caused by donor doping. The authors gratefully acknowledged the support from the Key Laboratory of Advanced Ceramics and Machining Technology, Ministry of Education (Tianjin University).